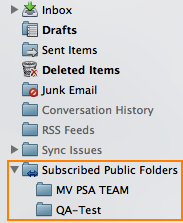 This article describes how to open Public folders in Outlook 2011 for Mac. 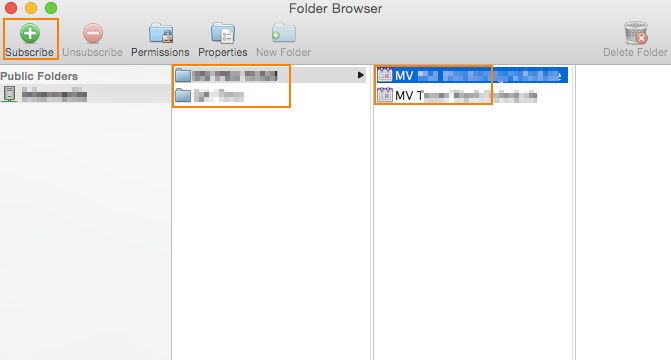 In Folder Browserwindow, navigate through the public folders tree until you locate the folder you need to access. Highlight the public folder, then click on Subscribe.